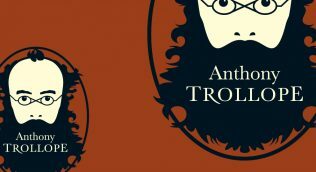 Biographer of Fanny Trollope and author of the entry for Thomas Adolphus Trollope in the New Dictionary of National Biography, Pamela Neville Sington explores the life of Thomas Adolphus Trollope. Peter Blacklock takes a look at Ralph Fiennes’ new film, The Invisible Woman and looks at the connection between Charles Dickens and Anthony Trollope. 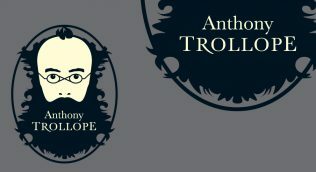 Lee T. Lovallo examines numerous musical references in the works of Anthony Trollope discovering how they contribute to characterisation and plot. 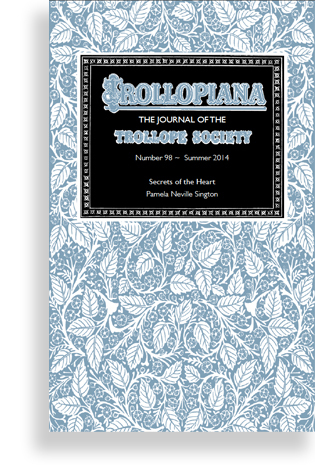 Trollope Society Chairman, Michael Williamson, explains how Muriel Rose Trollope’s opera glasses came to become the Trollope Society’s latest acquistion of Trollope related artefacts. ... fictional place names, thinly disguised portraits of Exeter and Devon, were Tom’s answer to Anthony’s Barchester and Barsetshire.